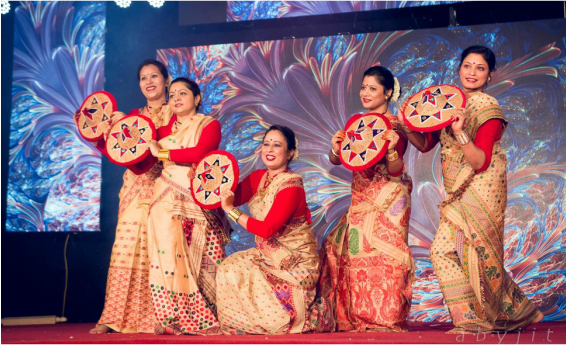 Lady members of AAK recently performed Bihu Dance in Indian Cultural Divas organised by Arpan on November 4th 2016. Dance groups of various Indian cultural associations from Kuwait representing different regions performed their traditional dances along with MJ5 group from India. Bihu dance was warmly received by audience. 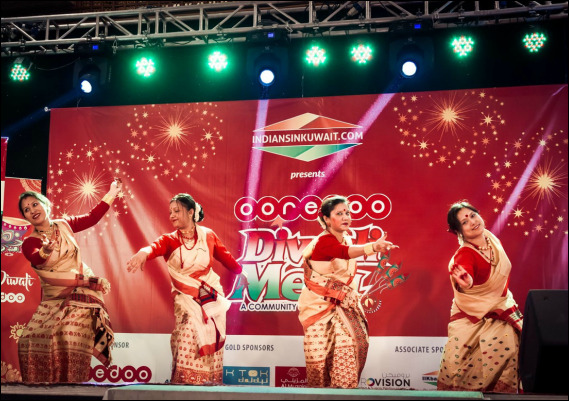 For more details please click here..
Lady members of AAK performed Bihu Dance in Diwali Mela organised by Indiansinkuwait.com on October 21st 2016. Dance groups of various Indian cultural associations from Kuwait performed their traditional dances in the event. Bihu dance was warmly received by audience. For more details please click here..
President: Mr. Himangshu Dey , Vice President: Mr. Bibhuti Borgohain. 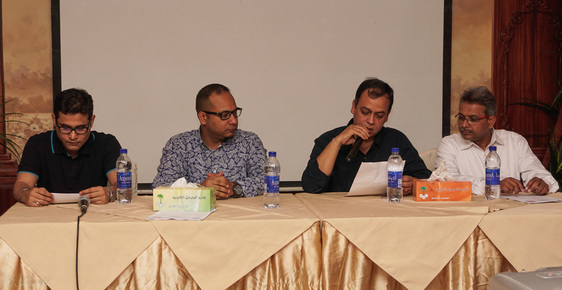 General Secretary: Mr. Dwaipayan Bora , Joint Secretary: Mr. Barada Talukdar. 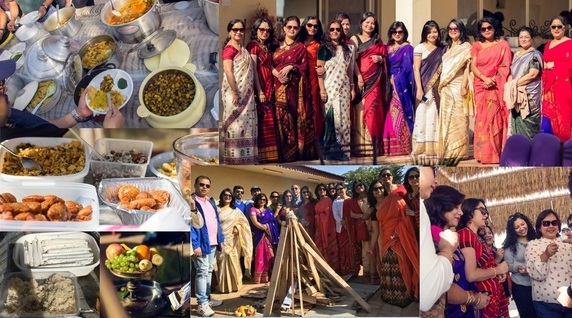 Members: Dr. Anindita Medhi Saikia, Dr. Sabina Tasnim Rashid, Mrs. Oliva Borgohain, Mr. Bikash Jyoti Gogoi, Mr. Abhijit Sharma, Mr. Jugananda Phukan. 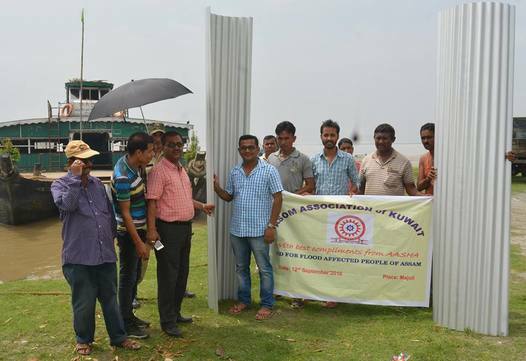 This is an small attempt to help the flood affected people of Majuli from Assamese people of Kuwait. We are greatful to ABAKASH MAJULI specially Mr. Amlan for his valuable time for the distribution of relief materials and happy to be connected with ABAKASH MAJULI in future too. My sincere thanks to the AAK members for their contribution. AASHA took an initiative to distribute aid in Garapar ME School under Lahorighat sub division of Morigaon District. The school is located about 3 hours drive from Guwahati city. 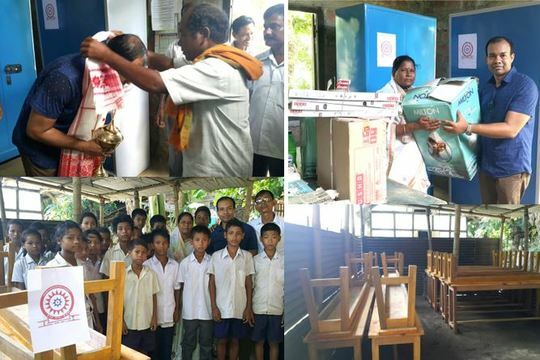 AASHA donated Desk Benches, Water Filter, Steel Cabinet & Ceiling fan etc. AAK would like to THANK to all members for their contribution towards AASHA for a humanitarian activity for the people of Assam. AASHA has recently carried out a flood relief activity in Tinsukia District of Assam. Mr. Sasanka Bhuyan, a new member of AAK provided his time & efforts to make our mission successful. Please click here to watch the video. Dear AAK Family Members, It is indeed an honour for me to be selected as President of this august body..please click here to read the complete message.